A follow your heart bracelet is a special way to symbolize this inspirational phrase. The ability to follow our hearts is a wonderful dream which sometimes can become reality. However, following our hearts is not always as easy as it may first appear. While when we are young, being footloose and fancy free to every whim and desire may be a realistic possibility, when we become older it is not as asy. Family or career responsibilities, household commitments and other ties can mean that our dreams of being free to follow our hearts can sometimes be forgotten. It's important to remember our dreams and aspirations. A piece of special jewelry, such as a follow your heart bracelet, can provide an important reminder. Engraved - One of the best ways to remind yourself of your follow your heart dreams is to get a bracelet engraved with the words 'follow your heart.' There are many styles of bracelet that are suitable for engraving, and they are created from precious metals as well as from metals such as stainless steel. If you don't like the idea of having such a blatant message on the exterior, then the inside of a bracelet could be engraved. An intriguing alternative is to consider getting the bracelet engraved with the words translated into another language. Alphabet beads - Beads that display a letter of the alphabet are ideal for spelling out special messages. These could be a great option for a follow your heart themed bracelet. Alphabet beads are suitable for men and women. The beads create a bracelet that is casual and a little informal which is a good option for people looking for a more dressed-down style of bracelet. 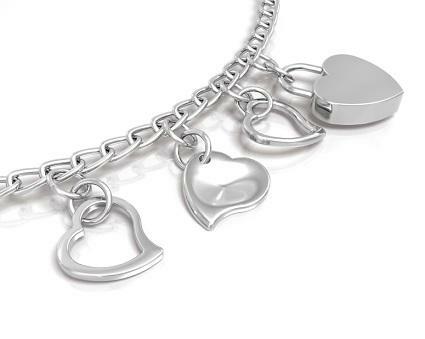 Charms - A charm bracelet is ideal for a follow your heart piece of jewelry. In addition to buying a charm with the words 'follow your heart' engraved onto the surface, you can also purchase other items that symbolize the phrase. This provides an interesting way to create a unique piece of jewelry with the follow your heart message represented in a symbolic way. Other symbols - A bracelet does not need to have the follow your heart words engraved or displayed in order for it to have a special meaning. Many people have a special image or symbol that sums up their dreams and desires. A bracelet that features this special symbol can be a good alternative to more traditional follow your heart styles. As an example, a bracelet that incorporates a heart into a design may represent the sentiment rather than displaying the words. Amazon - This large retailer has a range of follow your heart jewelry including bracelets of different styles. Etsy - People looking for unique or one-of-a-kind designer items, including many with a follow your heart theme, will find plenty to interest them on this handmade marketplace website. MantraBand - This website has a simple yet effective bracelet design. A bracelet can be more than just a stylish piece of jewelry. It can be a way to remember to follow your heart and follow your dreams.